It’s almost time for the sad horse show to return once more, as it does one day every year, ambling morosely back onto Netflix and into our homes through the electronic device of our preference. Bojack Horseman’s fifth season launches on Sept. 14, the Friday after next, a mere ten days from now, and Netflix has finally released a trailer to ramp up that anticipation. In it we once again see the Bojack we know and grimace at as he makes the same mistakes over and over, season after season. He wants to be better but doesn’t know how. He thinks he’s too smart for therapy or AA to work on him. He’s on a TV show that he seems to hate. He’s still full of that toxic mix of arrogance and self-loathing, hoping to score points for wanting to be a better horse without actually thinking he needs to put any work into that. “It’s confusing, which means the show is daring and smart,” Princess Carolyn says, as the trailer repeats itself and cuts from one out-of-context line to another, like those infamously useless old “on the next episode of Mad Men” previews. It captures the boozed-up wash of confusion and displacement you feel after a night of going at it too hard, the kind of night where you don’t remember how you made it back into bed but are extremely thankful that you somehow did. If this is a preview of where Bojack’s at as a person—or as a horse-person—this season of the sad horse show could be even sadder (and horsier) than ever. Watch the trailer below, and check out some screens from upcoming episodes below that. 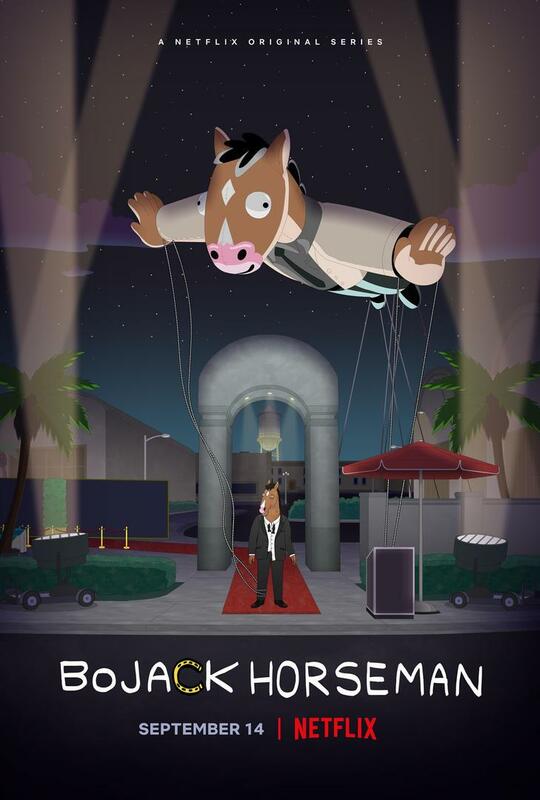 Bojack Horseman returns to Netflix on Friday, Sept. 14, and you can watch it at netflix.com/bojack.